 Stimulation of gastric acid secreted by glycine and related oligopeptides in humans. Whey protein isolate and collagen hydrolsyates protect against ethanol induced ulcerative lessions. Collagen is a kind of protein, which means that it is made up of amino acids, namely glycine and proline. Type I Collagen is the most prevalent type of collagen found in the body. 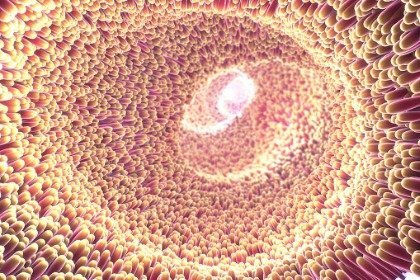 It is also found in the digestive tract, along with Type III collagen. Type I and Type III collagen are excellent sources for improving gut health. I Am Ready To Start Mine As Soon As It Gets Here. Thanks For The Information About Your Collagen. You’re welcome, Shirley! We wish you the best in your health journey. Your company is the best!! Love what you stand for. I lost my collagen, through your supplement I hope I can get it back. Thank you very much for the kind words, Nora! We are happy to hear about your wonderful feedback. We are also very excited for you to try our Clean Sourced Collagen, let us know how you liked it! Thank you for sharing how it help in many ways especially gut health. I feel some funny sensation of legs after taking and my foot with bunion a bit of pain. Hope it’s healing process. Energy wise, it’s good. Thank you for the feedback, Laura. We wish you the best in your health and wellness journey! Can you put your collagen in coffee or smovess . i put it in water & it doesn`t taste good thank you. Hi Audrey! Our Clean Sourced Collagens is tasteless, odorless, and flavorless. Which means you can simply mix it into a plain glass of water, your favorite juice or smoothie and even any of your favorite hot beverages like coffee and tea. I can’t wait to get my Collagen!!! I am excited to see if it will help me. I have been reading all of the great information your company puts out there, on all of the benefits of Collagen! Thank You also, for making it affordable!! You’re welcome, Barb. We’re so excited for you to try the Clean Sourced Collagens! We’d love to hear an update from you soon. OMG I can’t wait till my collagen arrives! I’ve heard so many things it can do for your body! I’m in pain all the time in my knee cartilage loss I’m hoping maybe it can help grow some for me! I also heard about this from my ex husband he has a form of skin cancer on his face he says he notices the difference i would like to get rid of my wrinkles too! Thank you for all the information! We’re so excited for you, Cheryl! Thank you for your recent purchase! We can’t wait for you to experience the wonderful benefits our Clean Sourced Collagens provides. Keep us posted on how you’re doing with it. Wishing you all the best on your wellness journey!